id Software has become the latest company to leave the Entertainment Software Association, bringing into question the ability of the association to survive in the face of a growing exodus. GamePolitics has reported on the departure, saying it has confirmed through a representative that the creator of Doom and Quake has dropped its membership, and id is no longer listed as a member on the ESA website. Neither the ESA nor id have commented on the matter. 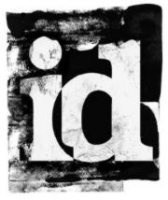 id's split from the group follows the departure earlier this week of LucasArts, and of Activision and Vivendi early in May. The day after the LucasArts announcement, Electronic Arts leveled criticism at the ESA, calling for more "leadership" from the organization. According to the GP report, there are rumors of other, unnamed companies planning to leave the group in the near future. "We can confirm that id Software has decided not to renew its membership in the ESA. We admire their creativity and innovation. We also respect their decision." "The ESA continues to lead the thriving video and computer game industry. We are dedicated to protecting intellectual property, preserving First Amendment rights and fostering a beneficial environment for the entire entertainment software industry."